UNRAVELING OLIVER by Liz Nugent will be one of the most original reads you'll encounter this summer. A 360-degree view of a sociopath's development, this book is better qualified as a psychological profile than a psychological thriller. Through chapters alternately narrated by Oliver and those in his life, this story examines its main character's development from isolated young boy to manipulative and abusive grown man. Laced with menace and wholly immersive, UNRAVELING OLIVER is a standout: from its blunt, unnerving main character who is so matter of fact about his cruelty to its original and engaging storytelling, this is a crime book to remember. There are few things I love more than picking up a book and realizing you've found something truly unique. If you're in the market for a summer read that stands apart from the pack for its unusual storytelling structure and its character-driven focus, UNRAVELING OLIVER will be an excellent choice. Right off the bat, readers will discover that this book is not a whodunnit—it's not even a why-have-they-done-it in the traditional sense. Rather than examining the immediate cause of Oliver's outburst against his wife (although that is revealed over the course of the story), Nugent takes the reader all the way back to the beginning. More than just examining the one present-day crime that brings to the fore Oliver's abusive and manipulative personality, UNRAVELING OLIVER does exactly what its title suggests—it unravels, thread by thread, the tangled web that has created the truly repulsive character at its core. Nugent has crafted a compelling, psychologically-astute deep-dive into the many and layered factors that created this man. It's very important to go into this book with the right expectations. While I found UNRAVELING OLIVER to be completely immersive and addictive, it's not a psychological thriller in the way many readers have come to understand the genre. It's not action-packed; a good deal of the book takes place in flashbacks. It's not a book that I would characterize as "twisty"; of course there are crucial pieces of information revealed throughout, but readers know right from the outset what the story's central crime is, and who has perpetrated it. It most certainly doesn't have an unreliable narrator; Oliver is frank and forthcoming about his actions. 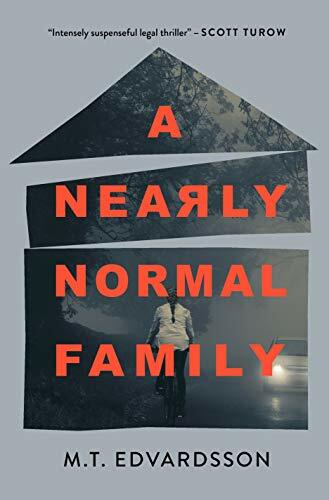 This book is an intelligent, unsettling glimpse into the mind of someone whose perspective is genuinely warped and unsettling in its calm cruelty. I loved this book's character-driven focus, and was completely engrossed in the portrait Nugent paints. It's also worth noting the unique approach to storytelling Nugent takes. UNRAVELING OLIVER is told from a number of perspectives; readers hear from Oliver, but the majority of the novel is actually told from the perspectives of those in Oliver’s life. Told largely through recollections from his childhood peers, family members, and more, UNRAVELING OLIVER builds a complete picture of its namesake character—and of the fallout left in his wake. Nugent does a masterful job introducing just the right amount of outside perspectives—readers are given enough information to develop a 360-degree perspective on Oliver, while not feeling overwhelmed by the story’s alternating narrators. UNRAVELING OLIVER is immersive, engaging, and intelligent. Readers looking to be drawn into a chilling examination of what makes a sociopath will find a perfect match in Nugent’s unnerving debut.